Place all of the ingredients in a food processor. Blend for about 1 minute or until the mixture has a fine, grainy texture. Season with ground pepper. Blend until ground pepper is well incorporated. Taste mixture and add more lemon juice or olive oil as desired. Spread on toasted bread or crackers. 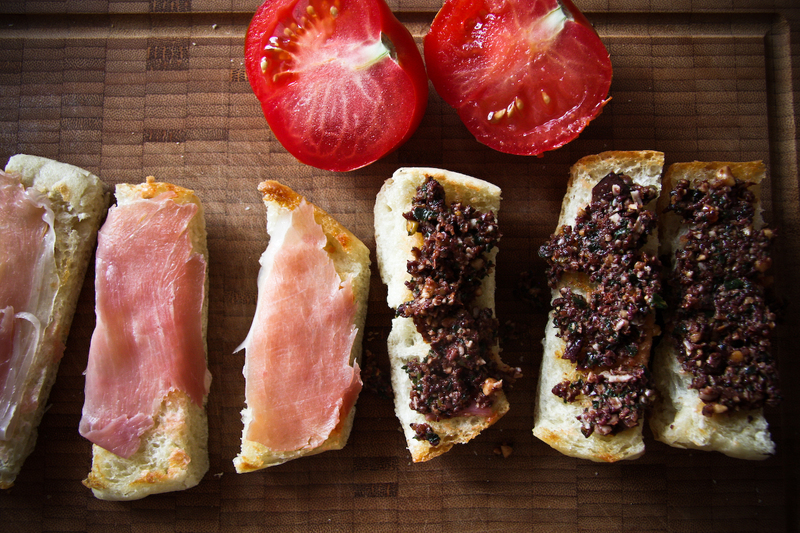 To dress it up, top the tapenade with a slice of smoked salmon or accompany with sliced proscuitto. Makes about 2-3 cups (Serves 4-6). If you have olives stuffed with almonds, use them! 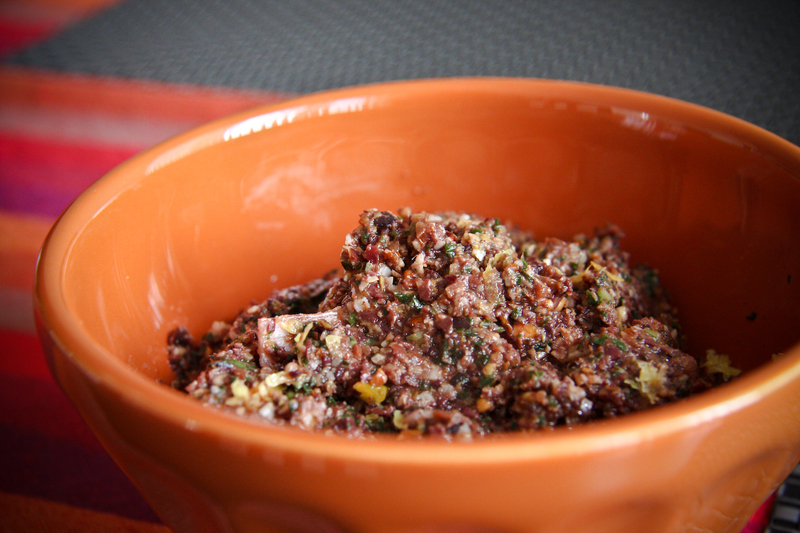 The nuts can give the tapenade a nice texture and an extra crunch. If the olives have been marinated in herbs and/or other seasonings, just give them a good rinse under the tap so that the flavourings don’t clash with the basil. Enjoy! This entry was posted in Starters, Vegetarian and tagged olive starter, olive tapenade, olives, starters, tapenade. Bookmark the permalink.